PRAYER PROMPT ••• There is a great difference between “happiness” and “joy,” yet our world tends to lump them in the same category. Happiness is external – it’s motivated by people, places, or things. For me, it’s a good book, cup of coffee, and rainy afternoon with no where to go! That definitely puts me in a happy place! Eventually, the book ends, the coffee turns cold (or, in my case, runs out), and I need to return to my responsibilities. Our joy, however, isn’t defined by our circumstances, but is rooted within. It’s a peace that envelops us, even if we are in the middle of tragedy and despair. Joy is a gift from God. The verses leading up to this speak of some pretty disheartening things – a lack of crop and livestock. I need not remind you that in the 7th century BC, there weren’t grocery stores on every corner of Habakkuk’s hometown. The Bible encourages us to have joy – because beyond the peace that accompanies joy is a deep trust in God’s plan. 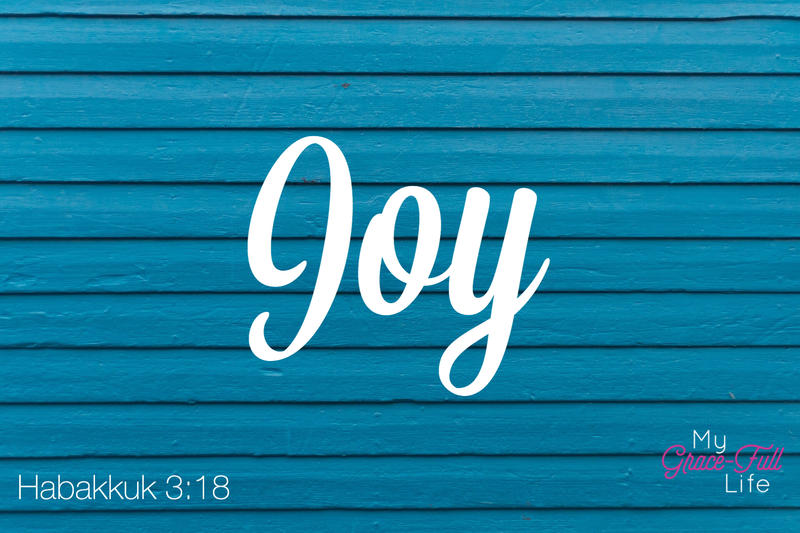 Having joy in the Lord is something we can do when we’re happy, sad, discouraged, frustrated, mad, or any other description on the emotional spectrum. And when we have joy in the Lord, it’s not temporal, determined by who we are with, what we are doing, or what we have. True joy endures because we know – even when we don’t understand it – God has a plan. Today, as you pray, ask God to help you discover joy (if you don’t feel it). If you do, celebrate that joy with a prayer and a renewed commitment that no matter what, you will trust and be joyful.